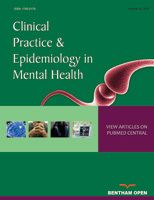 The aim of the study was to measure the lifetime prevalence of Post-Traumatic Stress Disorder (PTSD) among women of an Italian community sample, the comorbidity of PTSD with mood and anxiety disorders and the burden attributable to PTSD in worsening the Quality of Life (QoL). Community survey on a sample of 1961 adult women randomly selected. Tools: psychiatric clinical interview ANTAS partially derived from the SCID-DSM-IV, administered by psychologists or medical doctors; Short Form Health Survey (SF-12); Mood Disorder Questionnaire (MDQ). Lifetime prevalence of PTSD in women was 1.3%, (1.4% in<45 years aged, 1.3% in >44 years aged; p=0.8). In order of risk of comorbidity, PTSD was associated with: Bipolar Spectrum Disorders (MDQ+), Panic Disorders (PD) and Major Depressive Disorder (MDD). People with PTSD showed an SF-12 mean score lower than women of the same sample without PTSD (standardized by gender and age), with a mean difference (attributable burden) of 3.9±0.9 similarly to MDD and Eating Disorders and higher than PD. Among the analyzed nonpsychiatric diseases, Multiple Sclerosis and Carotid Atherosclerosis showed a higher burden in impairing QoL than PTSD; Wilson’s Disease showed a similar burden and Celiac Disease was found less impairing on QoL than PTSD. The attributable burden in worsening women’ perceived QoL due to a lifetime diagnosis of PTSD was found comparable to those caused by MDD, Eating Disorders or by neurological condition such as Wilson’s Disease. The comorbidity of PTSD with Bipolar Spectrum Disorders was remarkable, even further studies are needed to clarify the direction of causality. Keywords: Quality of life, PTSD, Psychiatric comorlridity, Women health, Community survey, Mood disorder.